Russia has a thriving business launching satellites for other nations. It has even been ferrying astronauts to the International Space Station. Russia handles a lot of launches every year for its own space program and under contract to other countries. For the most part they can deliver on their obligations but they have been having a series of problems in the last few years. The Proton-M is a three-stage Russian heavy lift vehicle that was developed from the design of the Soviet Proton rocket. It has a seventy feet first stage with six engines, a forty six foot second stage with four engines, and a twenty one foot third stage with one engine. All engines burn a combination of dinitrogen tetroxide and unsymmetrical dimethylhydrazine. There are different fourth stages that can be added as needed for specific missions. The first launch of a Proton-M occured in mid-2001. A Proton-M can carry up to forty six thousand pounds into low Earth orbit, sixty six hundred pounds into geosynchronous orbit and about twelve thousand pounds into a geosynchronous transfer orbit. Proton-Ms are launched from the Baikonur Cosmodrome in Kazakhstan. Proton-M launch services are marketed by International Launch Services. Since the 2001 maiden launch, over one hundred Proton-M have been launched with eleven of those launches failing. Four of those launch failures were caused by problems with the Proton-M rockets, six failures were the fault of optional fourth stages that failed to deliver the satellites to correct orbits and the final failure was caused by improper fueling of an optional fourth stage. In 2007, the first Proton-M failed to deliver a Japanese satellite to orbit because the second and third stages failing to separate. In 2013, three Russian satellites failed to achieve orbit due to the first stage angular velocity sensors being installed with the wrong orientation. In 2014, a Proton-M failure was a result of one of the third stage turbopumps breaking off its mount and rupturing a fuel line. This was an attempt to launch a communication satellite. Just this month, a fourth Proton-M launch failed because of another tubropump breaking off as in the third Proton-M failure. This time, it was a Mexican telecommunication satellite that was destroyed when the launch failed. As a result of the third failure in 2013, the Russian space launch service was reorganized. The Russian government formed the United Rocket and Space Corporation as a joint-stock corporation to consolidate the Russian space launch business. A Russian official said " the failure-prone space sector is so troubled that it needs state supervision to overcome its problems." Critics of the Russian launch service say that the UDMH fuel burned by the Proton-Ms and the debris that is created when the stages detach and fall to Earth are contaminating large areas in Russia and Kazakhstan. There are claims of acid rain falling after launches as the UDMH fumes and smoke contaminate the clouds. The director of a government research agency denies these claims. 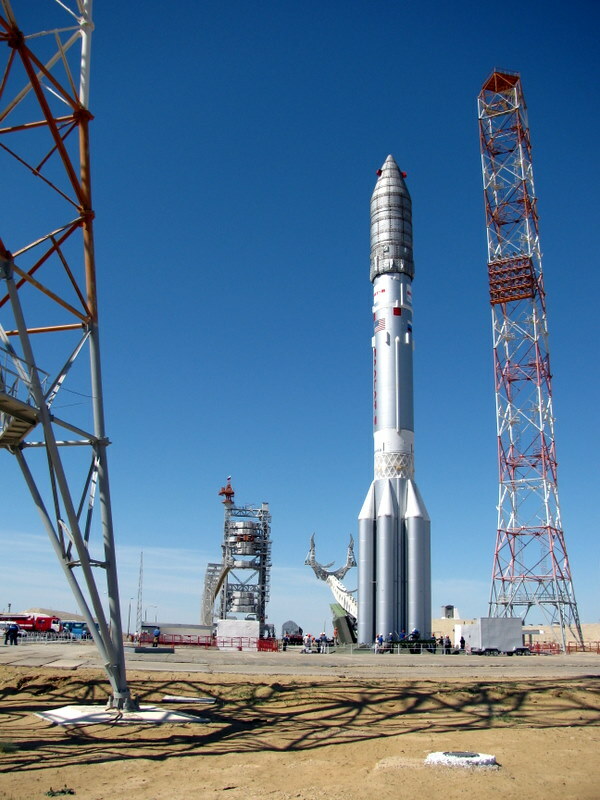 Between 2001 and 2009, there were only three Proton-M launch failures due either to a Proton-M or forth stage problem. Starting in 2010, the failures started coming once a year or more often. It seems as if the Russian quality control efforts on the Proton-M and optional forth stages are slipping despite the reorganization of their commercial launch agencies. This could be bad for the Russian launch business. Airbus Develops Reusable First-Stage Called ADELINE.